News seems to travel faster in Haiti these days whether this news is real of fake. 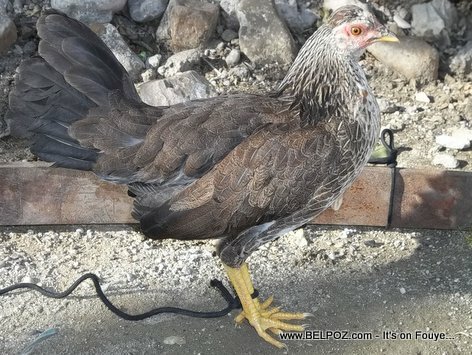 So far there is no warning from the Haitian ministry of public health that such a product, a plastic chicken, actually exists on the Haitian chicken market but that's not enough to stop the scared consumers from thinking otherwise. Is the 'plastic chicken' phenomenon real? Read the article: The 'plastic chicken' that's only 51% meat in the health section of the Daily Mail and you will be shocked. "About 40 per cent of the imported chicken sold by catering suppliers undergoes heavy processing." "The meat that results is so rubbery and tasteless it is known in the trade as 'plastic chicken'." Do Haitian consumers have the right to be scared?